Exploring the complex interweaving of race, national identity, and the practice of sculpture, Amy Lyford takes us through a close examination of the early US career of the Japanese American sculptor Isamu Noguchi (1904-1988). The years between 1930 and 1950 were perhaps some of the most fertile of Noguchi's career. Yet the work that he produced during this time has received little sustained attention. Weaving together new archival material, little-known or unrealized works, and those that are familiar, Lyford offers a fresh perspective on the significance of Noguchi's modernist sculpture to twentieth-century culture and art history. Through an examination of his work, this book tells a story about his relation to the most important cultural and political issues of his time. By focusing on Noguchi's reputation, and reception as an artist of Japanese American descent, Lyford analyzes the artist and his work within the context of a burgeoning desire at that time to define what modern American art might be--and confront unspoken assumptions that linked whiteness to Americanness. Lyford reveals how that reputation was both shaped by and helped define ideas about race, labor and national identity in twentieth-century American culture. 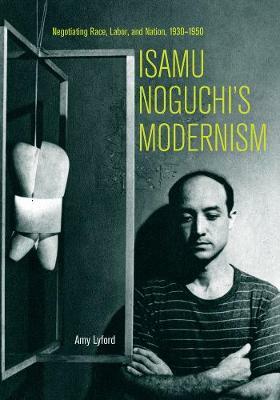 Buy Isamu Noguchi's Modernism by Amy Lyford from Australia's Online Independent Bookstore, Boomerang Books. 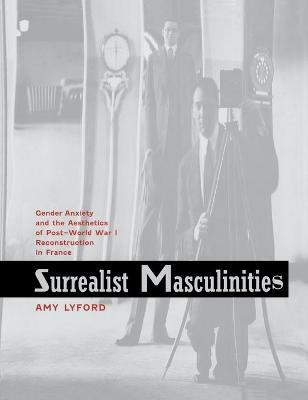 Amy Lyford is Professor of Art History at Occidental College and is the author of Surrealist Masculinities: Gender Anxiety and the Aesthetics of Post-World War I Reconstruction in France (UC Press, 2007).